That’s the comment that most parents make when they come to Chrysalis. As your first step, we invite you to call Chrysalis to speak with our Admissions Director, Lorri Rollins. She will spend some time answering your questions, uncovering your child’s strengths and needs, and understanding what your family is looking for in a school. We are excited to share what we have to offer with you! Please call the school to speak with Lorri at 425-481-2228 or email her at Lorri@Chrysalis-School.com. Once you’ve spoken with Lorri over the phone, you’ll be invited to tour our school to meet with Lorri in person. She will show you our school in action, answer your questions and spend time getting to know your child. We do require both you and your child to be present at the tour. At the conclusion of the tour and discussion she will be able to give you a more specific idea of what your child’s specially designed program might look like, the cost of tuition and send you home with an application packet. When the completed application is returned to us we will review it and determine acceptance and the appropriate program for your child. 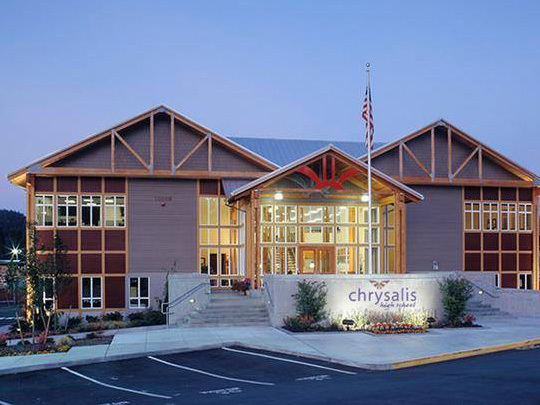 Once accepted, both the parents and the student will attend an orientation to determine additional details of your program and to welcome you to the Chrysalis community. We are able to enroll students throughout the school year. Entrance exams are not required. We design an academic program to fit each individual learner. Our goal is to ensure that we are the right school for every child we enroll and are able to provide them with a program and environment where they will learn and thrive.